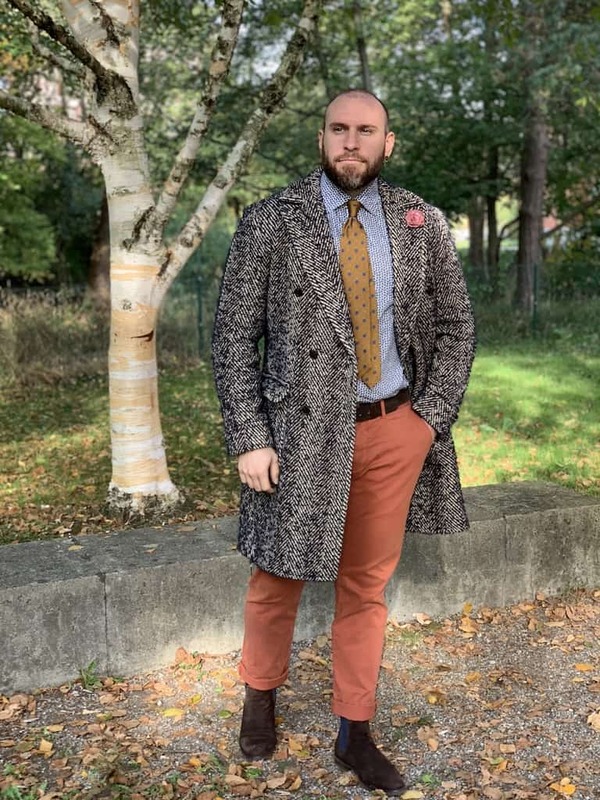 Hello together my name is Jürg, on IG also known as @jsTIEls and today I write about muscular mens fashion. 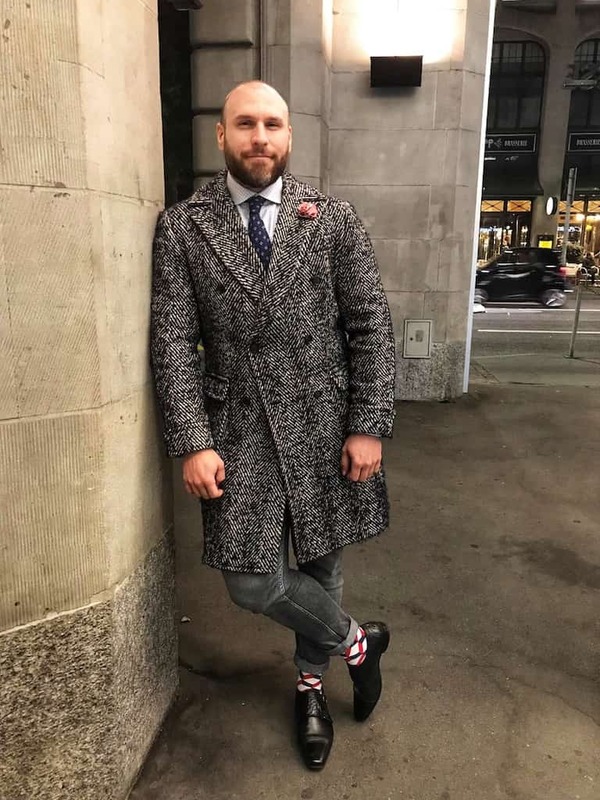 Allow me to introduce myself: I’m 32 years old and discovered my love for fashion a few years ago when I worked as a car salesman and the suit and tie were part of the dress code. I’m not workin as a car salesman anymore, but I still pay a lot of attention (more than ever) to my appearance, especially to my clothes. I started training when I was 17 years old and by that I mean lifting weights. I took this very seriously and went constantly to the gym. Because of that, I have built up more muscle mass than the average. At the moment I weigh 105KG. Of course, I have to be honest here and admit that it is not all pure muscle mass, which means: I am not a bodybuilder and I also have some belly fat. So if someone has this type of body, you will undoubtedly be confronted with some issues. Buying veston or trousers will be very tedious, but it’s especially bad with suits. 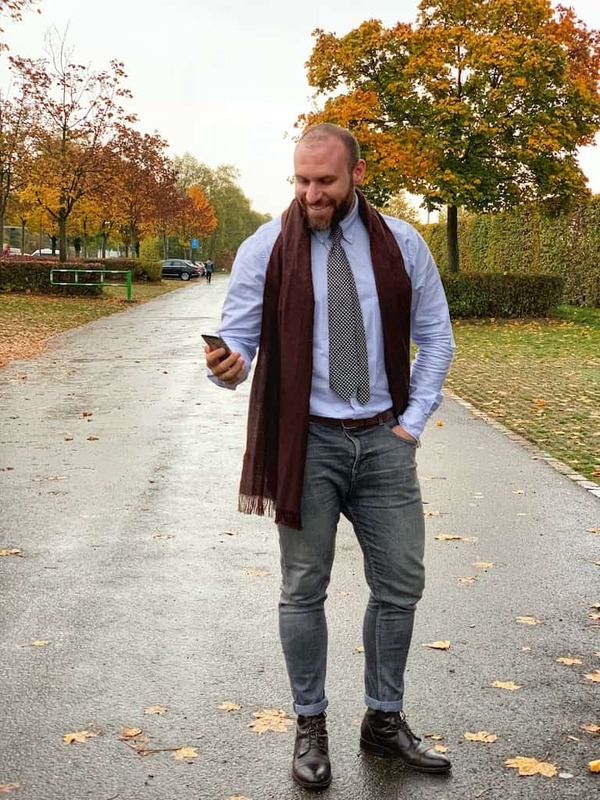 If you don’t want to lose any muscle mass or want to do without an elegant wardrobe, read my 5 top tips for mens muscular fashion carefully and maybe you can take something with you and put it into practice. Elastic fabrics are especially helpful if you are looking for a pair of jeans. Take the jeans in your hand and pull them apart to see how stretchy they are. Try the jeans on and see how they feel on the skin. What you should keep in mind is that this type of fabric will always be a bit tighter than normal jeans. In my opinion it serves the purpose and looks good. Besides, if you already have muscular legs, you can also show them. Another advantage of the fabric, apart from the fact that it feels great on the skin, is its flexibility: you can easily pick things up without worrying about the risk of your pants ripping. Apart from the very stylish aspect of double-breasted waistcoats, more muscular people can benefit from a nice advantage. Because the cut is slightly more “open”, so to speak, this gives you just that bit of extra fabric, since muscular people like me desperately need to have a little more space and still wear an elegant element. Often people who train a lot have a pronounced V-shape in their physique. This in turn means that you literally have to get up a bit with the numbers, especially with Vestons. Or, as Hugo Jacomet called it, “Going to another level”: That’s why you have to have the courage to wear a vest! – I love my vests. Here again – apart from the stylish aspect – the vest benefits muscular people because it emphasizes the build of the body. So if you have well-developed shoulders, the vest is an absolute must-have! 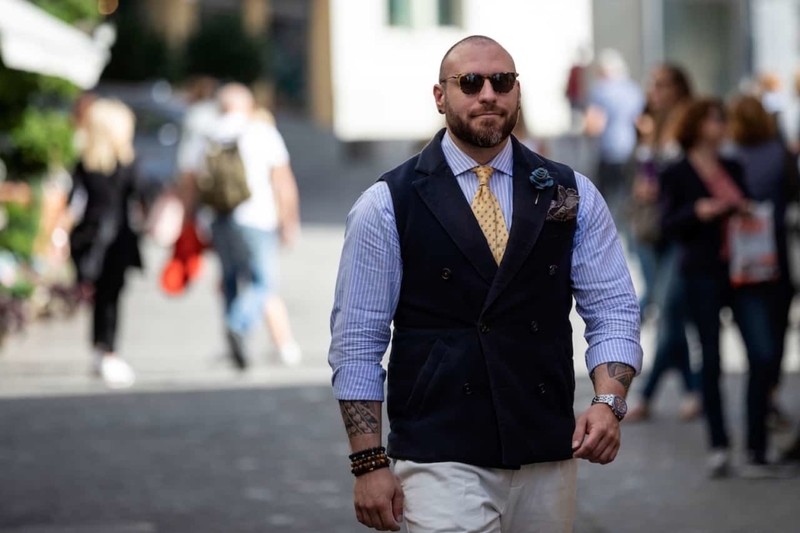 The obvious way if it comes to mens muscular fashion: If you don’t find anything suitable in the shop, you just get something made to measure (called MTM – made to measure). This is great, of course, but you’ll have to dig a little deeper into your pocket. If it doesn’t matter, it’s probably the best choice, especially when it comes to suits. If you choose “bespoke”, it’s a bit more expensive, but you will have an absolutely unique piece. 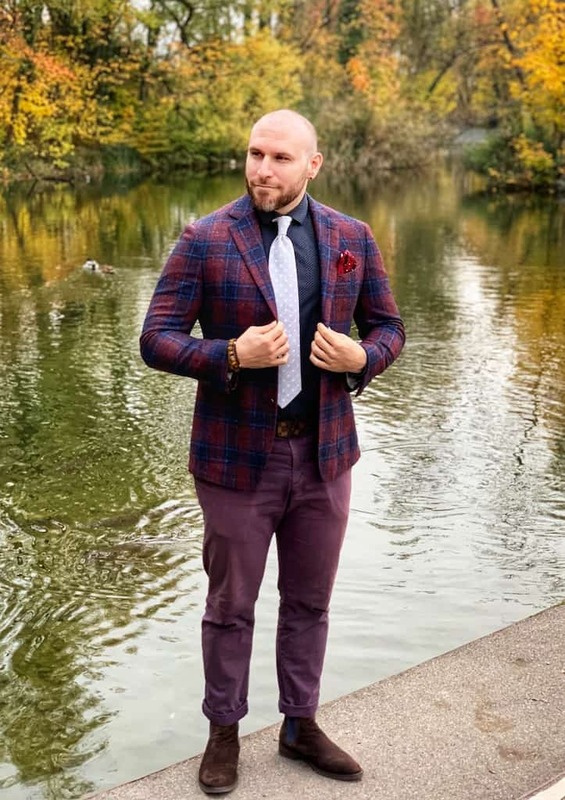 What I have to add here, is the following: if you are a bodybuilder or if your appearance is similar, it will always be visible – what ever you’re wearing. Imagine you’re walking into a store and you see a jacket and you think, “I gotta have it!” You try on the piece and notice that it’s a little too tight for you, so that you can just raise your arm high enough to shake someone’s hand. The ‘trade-off’ is to buy the thing anyway and make a small compromise.